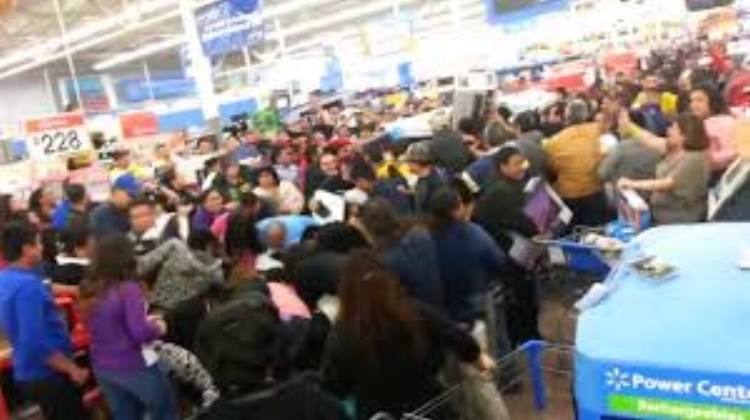 Well, with “Black Friday” nearly upon us, I thought it might be time to suggest some ways to avoid the communicable disease state known as Seasonal Flop Sweat Agita (SFSA), transmitted from brand to retailer to shopper, and occasionally to street corner Santa. One so wants to help us all elude the siren’s call of a coupon-clipped frenzy on Thanksgiving night (see above). So: Three strategies emerge: 1) Shop on-line, but not from cookie cutter retailers; 2) Avoid the whole notion and give gift certificates for respite; 3) Let the brand come to you. First up: Xsense.com. The first wave of ‘performance fragrances’ scientifically designed to help us play harder, work smarter, live better and, ready for this, sleep easier. This is a great antidote to the slings and arrows of modern American life. Not exactly the stuff that gets spritzed in your face when you attempt to shop in a department store and just exactly what we all need. Second up: European Wax Center gift certificates. Just go be pampered, prettied and prepped and then share the exhale with your besties. A fabulous curative to all the holiday hubbub, a bastion far from the madding crowd, and, gosh, a glimpse of what all those emptying malls are going to turn into: Personal service centers. Third: When you can’t bear the idea of getting new clothes, but really, really, it’s a bit past time for it, check out J. Hilburn: Beautifully tailored men’s wear and even some pretty fabby women’s shirting. And, hey!, they come to you, discuss the fabrics, take the measurements and whoosh! you’ve got custom-made gorgeous without the custom-made gorgeous price tag. Best of all, they have to figure out where to park. C-Suite Dunderheads As Objects of Marketing Derision: Good B2B Strategy?